FRASER, Anna J. 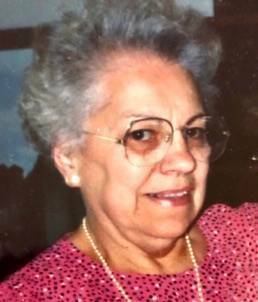 “Jeanette” (Doucet), of Canton, formerly of Randolph and East Boston, passed away peacefully, after a brief illness on January 22, 2019, at the age of 92. Born in Yonkers, New York, Anna moved to Nova Scotia where she grew up and went to school. She then relocated to East Boston and she worked for Sears and Roebuck for over 30 years prior to her retirement. In her free time, Anna enjoyed playing Bridge at the Canton Senior Center and spending time with her family and friends. A devoted mother, grandmother, sister and friend, Anna will be greatly missed by all who were blessed to have known her. She was the loving mother of William E. Fraser and his wife Teresa Micco of Redondo Beach, CA and Patricia (Fraser) Heifetz and her husband Mark of Canton. Devoted sister of Vincent Doucet of Nova Scotia, Canada, Lucille Fraser of FL and the late Rosette Doucet and James Doucet. Dear “Nanny” to Ashley and Jenna Heifetz. Also survived by many nieces and nephews. Relatives and friends are respectfully invited to attend visiting hours on Monday from 9:00 – 10:30 AM in the Cartwright Funeral Home, 419 No. Main St. (Rt. 28), Randolph. A Funeral Mass will follow at 11:00 AM in St. Bernadette Church, 1031 No. Main St., Randolph. Burial in Blue Hill Cemetery, Braintree. Should friends desire, memorial contributions may be made in her name to the American Heart Association, 300 5th Ave, Waltham, MA 02451.